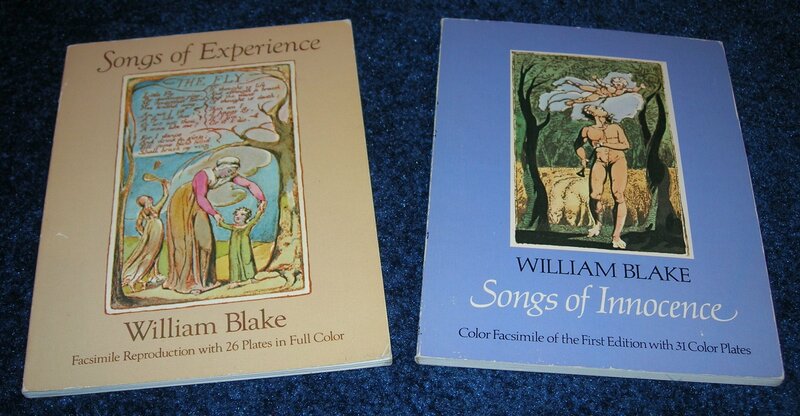 When I was at the university in England, one of the literature classes I took included William Blake’s Songs of Innocence and Songs of Experience. I sensed the mood, the feeling of each book of poetry, and I realized that I lived in innocence. I had grown up in a Christian home and been sheltered. When I talked to people in the experienced section of life, I realized that I didn’t know how to relate to them, that I was naive. It’s really strange when you’re 21 years old, and you realize that you’re naive. I was naive because I purposely kept myself from evil. I wondered if there was any way to cross over from innocence to experience without sinning. Experienced people had somehow done things or seen things that caused them to know more about life. They had experienced pain. It also seemed like they were deeper people. They understood life better, and they were more real in the way they related to people. I wanted to have wisdom. I realized that I didn’t really have it. Proverbs says the fear of God is the beginning of wisdom, and Ecclesiastes says that life boils down to this: fear God and keep His commandments. 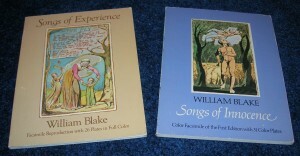 The wisest man who ever lived wrote both those books, so he knew what he was talking about. I also knew that God was always right, so I always tried to obey Him. Because of this choice, I was saved from a lot of pain and a messed-up life. This is why fearing God is the beginning of wisdom; God is the originator of wisdom. So you can live your life according to wisdom without having wisdom. The one is based on blind obedience, whereas the other emanates from within, put there by God. (Blind obedience, by the way, is pleasing to God and shows Him that we trust Him completely, so it’s not a bad thing. There is something beyond it, though, which includes it.) People who don’t know God can have a worldly wisdom that is based on experience, and it is a practical wisdom that is actually true. It’s based on cause and effect in their lives. It’s like science. A scientist who doesn’t know God can discover new medicines or how the brain works. The knowledge is there for anyone who bothers to look. As far as my own journey from innocence to experience is concerned, I certainly didn’t want to mess up my life for the sake of wisdom. This would not be true wisdom. Plenty of shallow people have messed up their lives and have no wisdom at all, only shattered lives leading nowhere. They don’t even have practical wisdom. What I wanted was true wisdom. I asked God for it. Little did I know a year later, I would be thrust into the world of experience. Apparently, pain is the only way to get there. And, yes, I crossed over without sinning. My life has never been the same. Some day I will write a book about it. Meanwhile, I’ve realized that with much knowledge comes much pain. Does wisdom have to include the knowledge of evil? Maybe. Just like the fruit from the garden of Eden that should never have been eaten. Why know about evil? Somehow depth of character can’t be gotten without it. Suffering does something to a person. Either it makes you want to shrivel up and die, or else you cry out to God for healing and somehow get though it to the other side. Suddenly you can relate to other people and understand them. Yes… I finally crossed over. This entry was posted on Monday, November 29th, 2010 at 9:27 am	and is filed under Christian Living. You can follow any responses to this entry through the RSS 2.0 feed. You can skip to the end and leave a response. Pinging is currently not allowed.